3. Select "Set properties in all selected bookmarks..."
5. 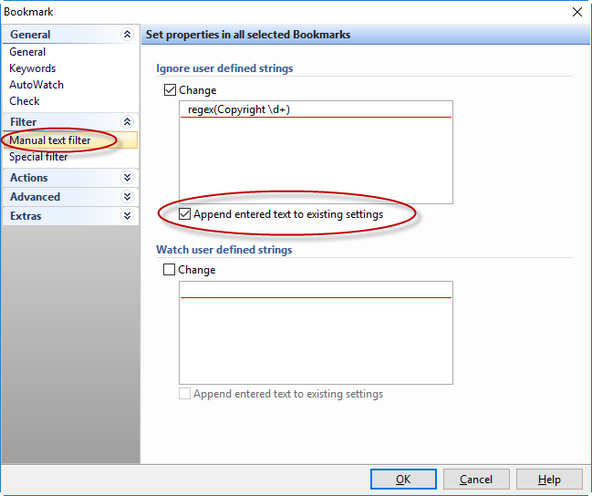 Enter a new filter and check the box "Append entered text to existing settings"
This will append the entered filter definitions to the already existing filters.